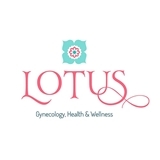 Lotus Gynecology, Health and Wellness (Austin) - Book Appointment Online! Our practice provides comprehensive care for women in a caring environment. **New Patients** Please go to our website: www.lotusobgyn.com and download the New Patient forms. Thank you. Amazing! Very knowledgeable. She is patient, explains everything in detail and makes sure to take time with each patient.